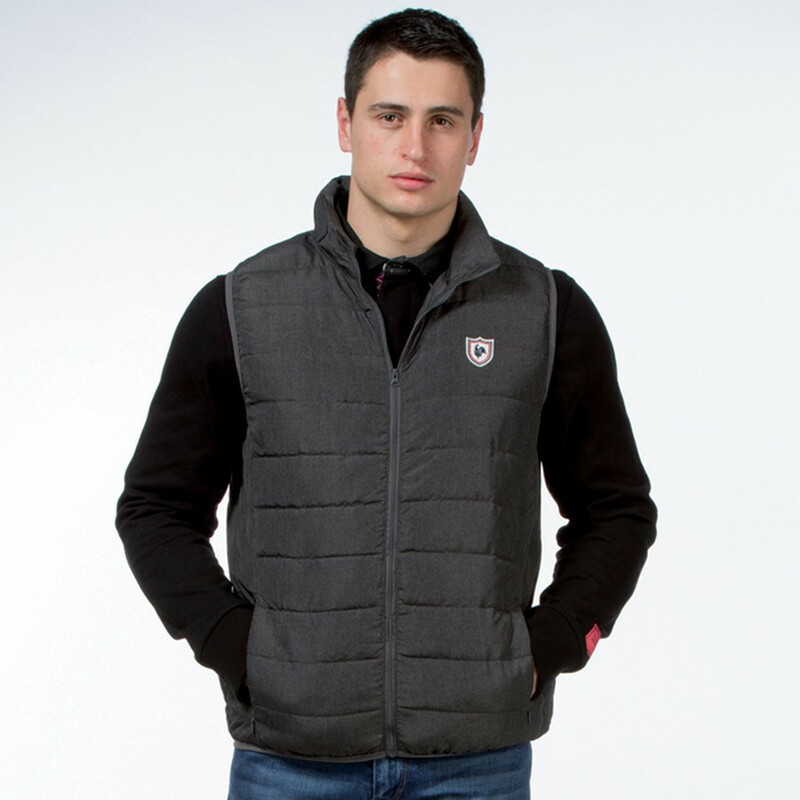 Sleeveless quilted jacket that is both lightweight and robust. It protects you from the cold. It can be worn at the beginning of the season or on a sweater during the winter. Tricolor embroidery with the rooster in the chest, for a Frenchy spirit. High collar, zip at the front, 2 zipped side pockets.